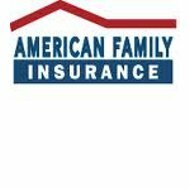 A Family Health Insurance Company of America review determined that the actual company name is American Family Insurance. This company’s headquarters is in Madison, Wisconsin, and offers health insurance coverage to groups and individuals. AmFam, as the company is known, is underwritten by American Republic. To get health insurance quotes in a little as five minutes, enter your zip code here to get started. American Family began offering coverage to farmers in Wisconsin more than 80 years ago. Currently the company’s business is in 19 states between Ohio and Washington. The company offers several lines of insurance coverage, which is sold through its agents throughout its expanding areas. This business has products to meet most of your insurance needs such as homeowners, auto, umbrella, farm or ranch, and business. You can even set up your retirement plan with an AmFam IRA or Annuity. Your representative will help you set up the deferred or immediate account with rollover options. Family health insurance company plans are available for individuals and families directly. These plans are able to stand alone as the family’s basic plan or as a supplement to an existing plan that may not be sufficient. Many jobs are limiting the amount of healthcare costs they absorb, passing the difference on to the employee. So that families can afford coverage, AmFam offers a high deductible plan, which lowers the premium. There is also the Medicare Supplement that offers major medical for hospitalization and services not covered by Medicare. This plan is only available in 16 states where AmFam is licensed. American Republic Insurance Company underwrites these policies for AmFam. There are only certain states where high deductible plans are offered. Your premiums are based on credit history, and a system of determination established by the company. AmFam’s website is designed to assist you and your agent with all the information you could possibly need including claim filings. Claims are filed using the EDI Connectivity system, which distinguishes policyholders by their clearinghouse and EDI connectivity. For example, Emdeon is the clearinghouse for those whose health insurance cards carry the pricing plan logo. If there is no logo, there are alternative methods for claims filing. If you are filing a claim for home, business, or car insurance you can file online. You may also contact your agent directly by phone, which is the preferred method of contact for other types of claim submissions. This type of PPO or preferred provider organization allows you to choose your physician as long as they are in the network. This way you save on out-of-pocket expense since not every physician you see is going to be an in-network provider. This is also true for wheel chairs, walkers, canes and other forms of durable medical equipment. Prescription purchases have to be made through participating pharmacies for discounts. Medco is the company AmFam is contracted with to provide pharmaceutical discounts. If there is no Medco in your vicinity, you can purchase your prescriptions from this pharmacy online. The AmFam website is chock full of information available to help subscribers and agents with education and services. You can make payments online, read helpful information, file a claim, and even chat with other subscribers or agents. AmFam is also available on popular social media sites and related website links. People want to know if they have to notify the insurance company if they are admitted to the hospital. In most cases, the insurer is aware of your doctor’s intent. It is advisable however, to notify the insurance company of your emergency room visits, or if you have advance notice of an anticipated hospital stay. If you have a grievance or comments you wish to express, there are places that will allow you to do that. Formal grievances can be submitted to the insurance commission of your state. These types of submissions are for unethical practices, or unlawful acts committed by representatives of the company. You may even consider contacting legal counsel if you think you have been the victim of a crime. If you are in disagreement of a denial or underwriting decision, you can submit these issues on discussion boards or other online expression forums in conjunction with an appeal to the company. It will help to build a case against the company that will eventually attract attention. To get online health insurance rates, simply enter your zip code here to find companies that insures your area.